The luxury outerwear label, present in the Danish capital since 2011, has moved to new retail premises at 36-38 Østergade, one of the city's most prestigious streets. Moncler has garnered immense attention for its House of Genius collaboration with a series of high profile designers like Pierpaolo Piccioli and Simone Rocha. 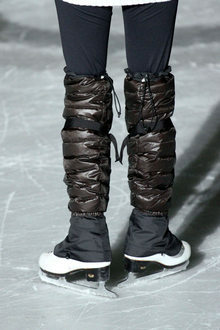 But in many ways, its key collection is Moncler Grenoble. The Italian brand has announced the most recent development in its ongoing Moncler Genius project, with the opening of two locations in NYC and Tokyo and the launch of its latest collaboration with Palm Angels. Milan Fashion Week saw Moncler, the down jacket brand, kick-off proceedings on Tuesday with an unusual presentation, beckoning hundreds of attendees to decipher different moods created by its eight-designer collective. Moncler is set to open its largest single-level flagship, a 500 m2 store located in the prestigious Harbour City shopping mall, Hong Kong. The Italian luxury outerwear maker has opened a new store in Melbourne, its premier stand alone store in Australia. New York Fashion Week closed Thursday, February 16, and Natalia Grgona of Paris Modes TV gives her takeaways on the many fall/winter 2017-2018 collections paraded on the runways. The down jacket label is make a direct entrance into the ski category through a collaboration with high end Swiss manufacturer Zai as part of its Moncler Grenoble skiwear line. Luxury outerwear brand Moncler has inaugurated its first boutique in Washington DC. The store is located at the CityCenterDC and occupies 2185 square feet. Moncler has added a new branch to its international retail network by opening its first, 275 m², store in San Francisco, and more precisely in Union Square, a choice shopping location in the heart of the city. The new Moncler flagship store in London occupies an entire building, with a retail area of approximately 330 m² on three floors. The store overlooks Old Bond Street, the heart of the city's luxury shopping district.